You know I have to try it when Essence releases a new foundation. 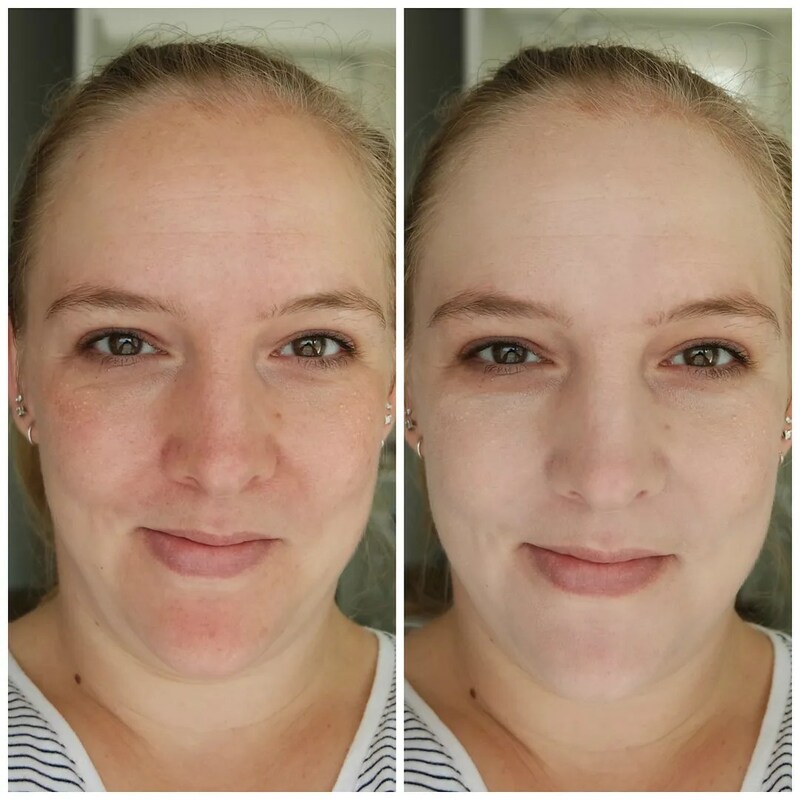 So when I spotted the #Insta Perfect foundation, I knew I wanted to give it a go. Because whenever a budget friendly foundation comes along that has potential, I am all game for trying it. 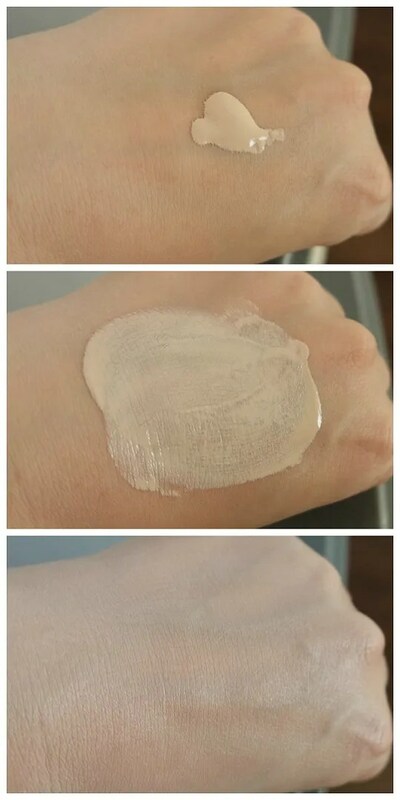 And there is another reason why this foundation is unique in Essence’s range: it is their first foundation that comes in more than 3 shades. This is not the cheapest foundation Essence does, but it is also not their most expensive. At a mere €4.59 this is under €5 and that is a great price point if it is a good foundation. This is the first time Essence has extended their shade range. This foundation is available in 9 shades and if the packaging is anything to go by, they go from super light to quite dark. 9 shades is still not revolutionary in terms of shade range, but still, it is better than 3 shades of orange beige tones. The packaging of this is very simple. 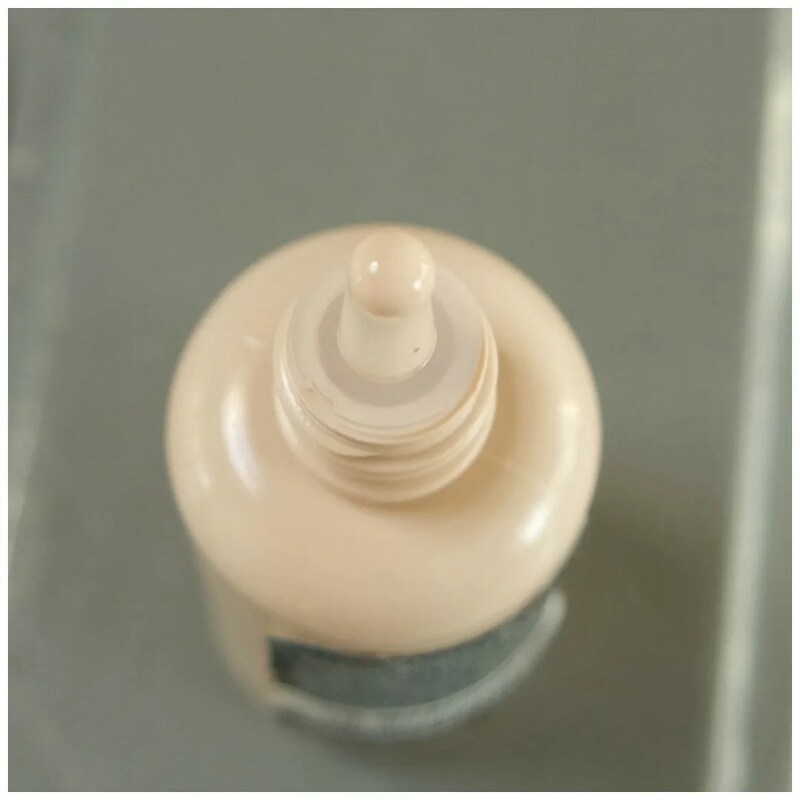 The foundation comes in a plastic bottle that is the shade of the foundation. There is a dropper at the top, but you have to squeeze a little to get the foundation out. In short, not the best packaging I have ever used, I prefer a pump, but this bottle won’t break in your bag and the twist off cap means it won’t spill in your bag either. The foundation is quite watery. When I first tried it, it reminded me a lot of MAC’s Face and Body, but the finish of this foundation is very different. This is not a hydrating, lightweight foundation. The texture is still light because of the water based formula, but the finish is a strong matte finish. I had a hard time blending this seamlessly into my skin. It is streaky and is best applied with a wet sponge to minimize the streakiness. Still, it never truly merges together with my skin. I always feel like it stays on top of my skin, which gives a not so pretty effect. Against the back of my hand the foundation looks a bit stark and ghostly pale. When I blend it into my neck, it is a bit too light as well. It does blend in quite well, but then again, my neck is the palest part in that area of my face. In this picture it looks quite alright, but as you will see in the full face pictures below, it looks a bit too much like a mask. I maybe should have gone one shade up, but that looked like it could be too warm toned and I generally prefer my foundation a bit more pale so I can add color to my face with bronzer and other face powders. 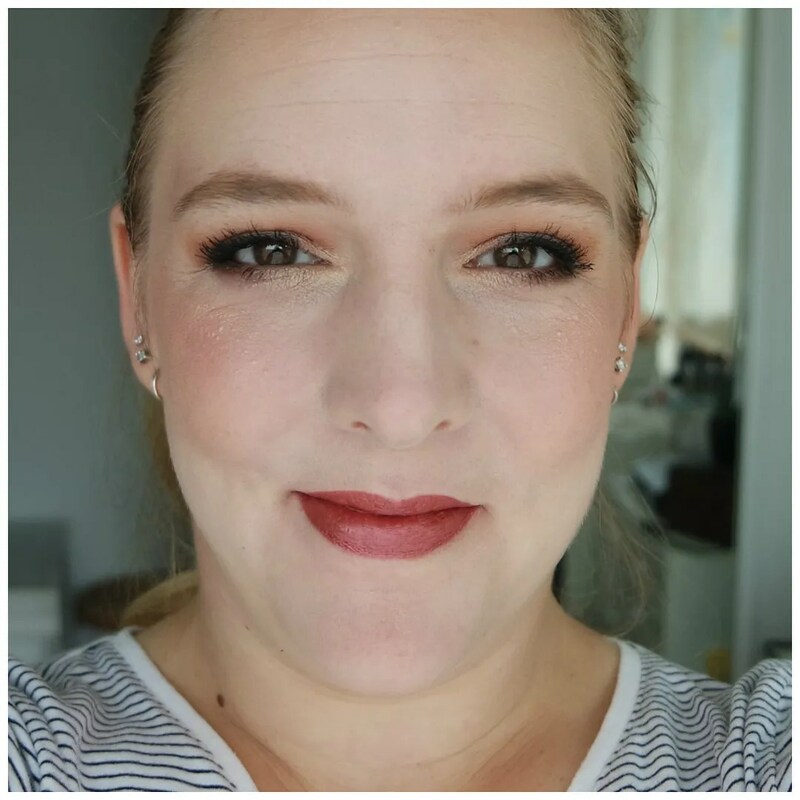 The coverage of this foundation is indeed buildable. I cannot attest to how waterproof this is, but once on, it stayed put quite well. It covers my redness quite well. But I do not like the finish of this on my skin. It looks dry and cakey. It sits on my skin rather than blending in. Perhaps this isn’t right for my skin type which is more dry and dehydrated. 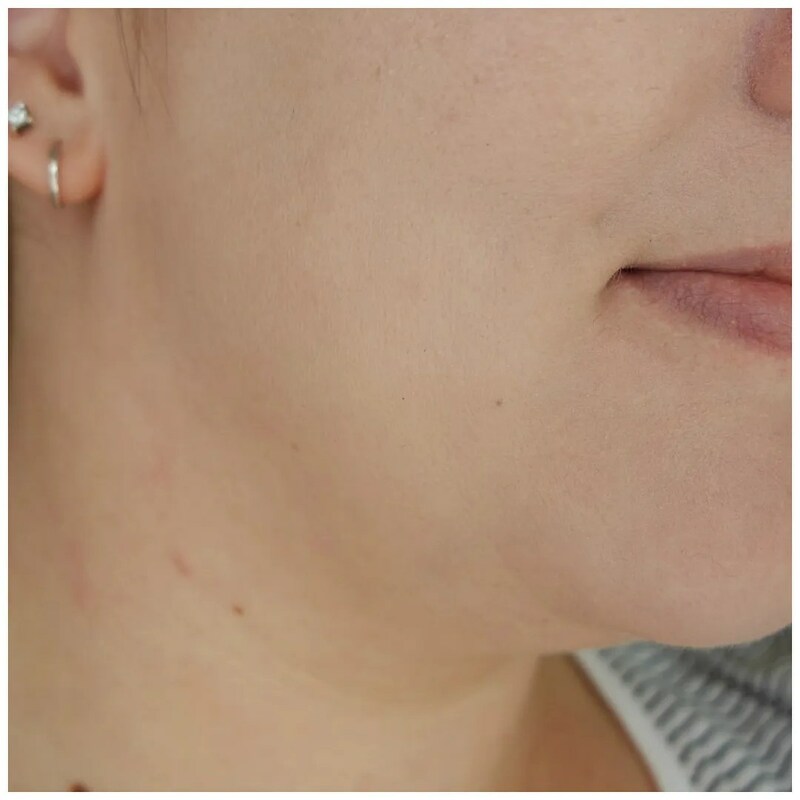 Especially in dry areas of my skin, it looked even more dry and the foundation greatly emphasized any lines. This is not for me, but perhaps if you have very oily skin, this may work a lot better. As you can see here with a full face of makeup, the Essence Insta Perfect foundation doesn’t look grea on my skin. It emphasizes my dryness, is a touch too pale and looks makeupy on my skin. This is not the natural matte foundation I thought it would be. On different skin types this may work better, but on dry, dehydrated skin like mine this just doesn’t look great. 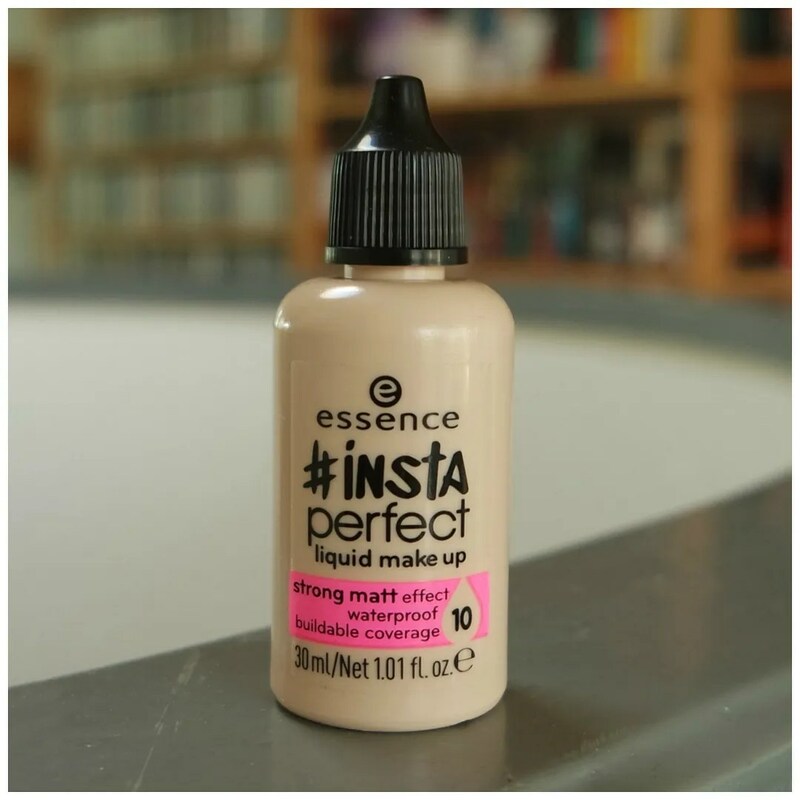 Would you try the Essence Insta Perfect foundation? Thanks for your comment! I will definitely check out your blog. It is fairly nice, but there are quite a few reasons why I know I won’t be wearing this much.